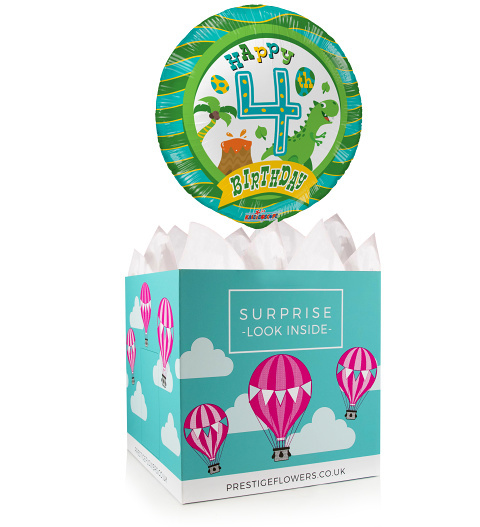 Choose this fun and colourful 18-inch helium balloon paired with a creative gift box for the perfect eye-catching gift. We also offer a selection of optional extras such as chocolates, cuddly bears, and cake which can be included. Take some time to compose a sincere message and we will include it with the gift for that personal touch.